Uncorking Texas wine. Where to sip. Where to stay. 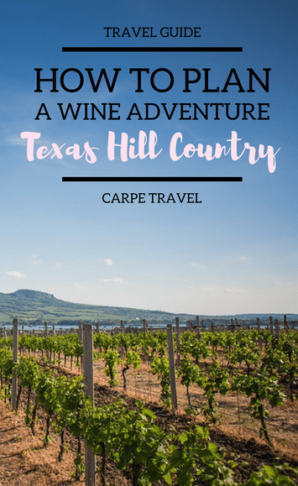 What to do in Texas wine country. Everything is bigger in Texas, including the wine. 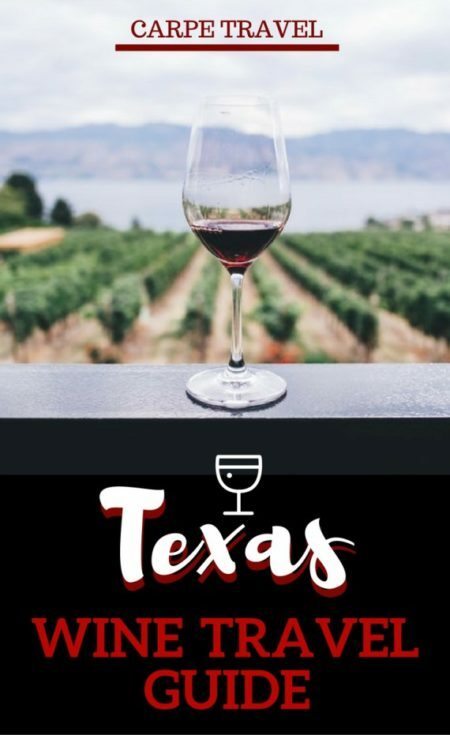 With more than 300 wineries in the state and eight official AVAs (American Viticultural Areas – wine growing regions), Texas has become the fifth largest wine-producing state in the U.S. Although, most of the wine it produces is sold within its own borders. In other words, you won’t be able to get your hands on too many bottles outside the Lone Star State. If you want to get a taste, it’s time to plan a visit! This guide is here to help you get on your way. This guide will always be changing so make to sure check back! The state of Texas is roughly the size of France. Given its size, the climate and soil compositions throughout the state varies resulting in a variety of fruit that can be produced on the 4,000+ acres of vineyards planted in the eight established AVAs. If you prefer more white wines, Texas is producing some excellent Viognier, Roussanne, Vermentino and Chenin Blanc. FUN TEXAS WINE FACT: 90% of the fruit used to produce Texas wine is grow in the High Plains of Texas, aka Lubbock. However, this isn’t the popular Texas wine country destination for tourists. That designation belongs to the Texas Hill Country AVA. Albeit, Lubbock has a lot to offer wine lovers and a great future for wine production in Texas. With more than 300 wineries in Texas, finding a spot to sip isn’t going to be a problem. We’ve noted a few resources here to help you narrow down the choices. Texas is home to eight AVAs – wine growing regions- and each region has its own wine trail, if not several. While the number of Texas wine trails continues to grow, these are two of the more popular and established. The most extensive wine trail in Texas is in the Texas Hill Country AVA, Wine Road 290. 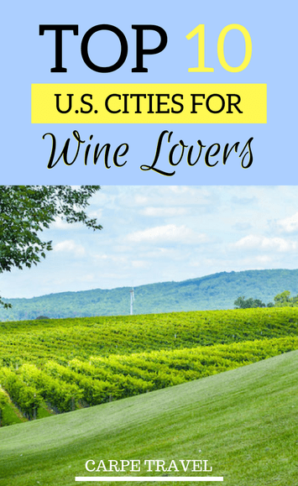 This AVA has been listed as one of “the 10 best wine travel destinations in the world,” and is the second most visited wine region in the United States, only behind Napa. The Texas Hill Country AVA is home to at least 70 wineries, with more opening each month. With this number of wineries the the Texas Hill Country AVA has a few official wine trails with Wine Road 290 being the largest. More than 30 wineries sit along US Highway 290 from Fredericksburg on to Johnson City, the home to the highest concentration of wineries in the state of Texas, also known as Wine Road 290. The town of Grapevine is home to the Texas Wine and Grape Growers Association and GrapeFest, the largest wine festival in the Southwest, held annually in September. Given its deep wine roots, the town is also home to an Urban Wine Trail with nine winery tasting rooms, most of which are within a few blocks of each other on the historic Main St. Two Texas wineries not to miss on the Urban Wine Trail – Messina Hof Grapevine Winery and Umbra Winery. The following map outlines the current wine trails in Texas. (Last updated Sept. 2017). The Texas wine country is most notably in the Texas Hill Country, home to many choices so narrowing down where to sip and stay can be a challenge. Take a look at a few of our favorite resorts, hotels and B&B’s in the Texas Hill Country AVA along with nearby wineries to help your wine getaway be perfectly balanced with a hint of awesome on the finish. If you’re looking to stay in Grapevine to explore its Urban Wine Trail, The Gaylord Texan Resort is a great spot and provides a shuttle into the historic downtown. Great Wolf Lodge is fun spot if you’re traveling with kids. The Austin Food + Wine Festival, sponsored by FOOD & WINE, brings an array of taste, talent and culinary entertainment to the Capital City while helping to support the nonprofit, Austin Food & Wine Alliance. The three-day weekend is the epitome of high spirits, with a packed schedule of hands-on grilling demos, up-close tastings with top chefs and sommeliers, and a Grand Tasting event like few others. Located in the picturesque Indian Spring Park, Rootstock will feature 16 of Texas’ best when it comes to wines grown and produced in the Lone Star State. The festival will also feature a half-dozen local chefs and restaurants competing to create the best small bite to pair with Texas Tempranillo – visitors get to vote for the winner! There are several options for doing wine tours in Texas. From self-guided to group tours to private wine tours. It’s really all about what you want to get from the experience – and how much you want to spend. If you’re looking to do more of a self-guided wine tour, check out the Wine Routes app to help you map your route. 290 Wine Shuttle – A hop-on-and-off bus that takes wine lovers along Wine Road 290 for $20! Interviews with winemakers who are shaping the Texas wine regions. See all the interviews from winemakers around the world.